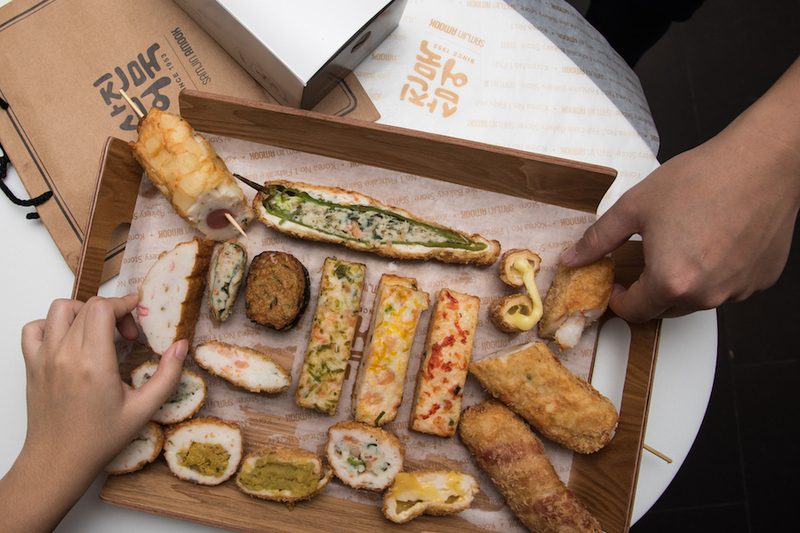 Good news for Korean fishcake lovers. 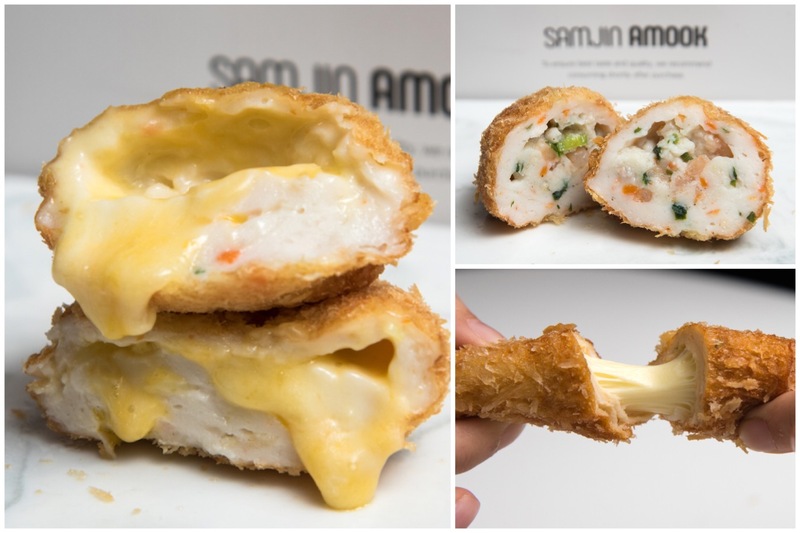 Samjin Amook 삼진어묵, which is the NUMBER 1 Korean Fishcake brand, has opened its first and only international outlet in Singapore. 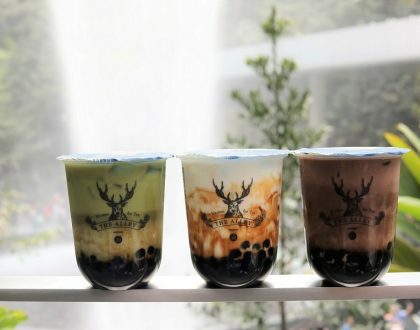 Started in 1953 at Busan’s Yeong-Do Bong-Nae Traditional Market, Samjin Amook with a history of 65 years, boosts of a total of 20 outlets in South Korea as of now. 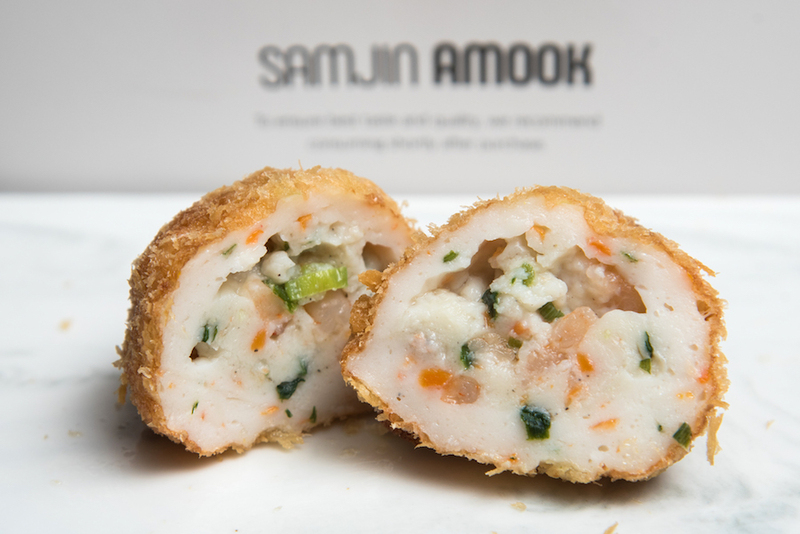 The brand specialises in “amook” which is “fishcake” in Korean, a popular Korean food made from minced fish. 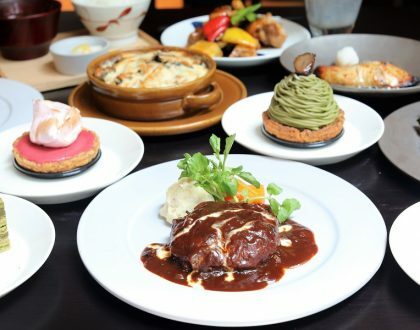 Located at basement 4 at ION Orchard (right beside BAKE Cheesetart), Samjin Amook have adopted its signature “bakery-style” concept for its first Singapore outpost. That means you can pick and select your favourite fishcakes displayed on the shelves. Let the sight and aroma lead your way. 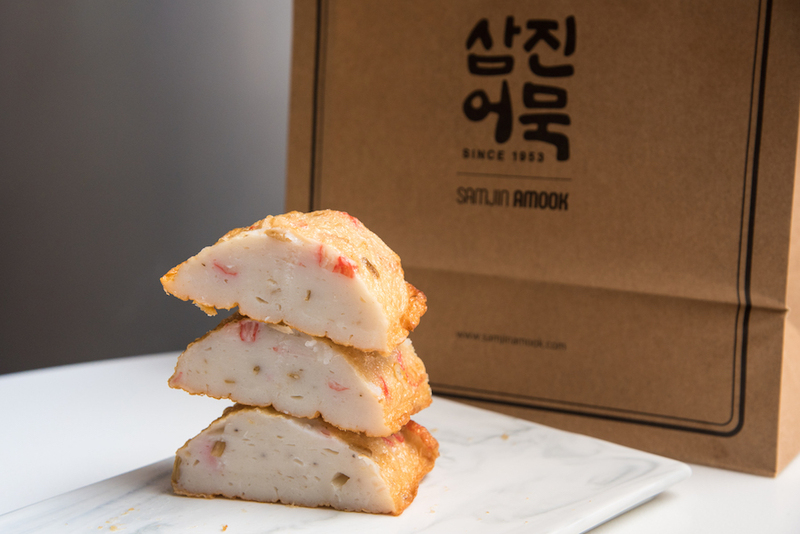 The fish cakes are hand-made freshly daily, with majority of the ingredients such as the amook and fresh produce used directly imported from South Korea,. That is why no two amooks are exactly the same. Here’s how the system works: the labels on display are categorised into Spicy (Red colour) and Non-spicy (White colour) so kids and non-spicy lovers can get to enjoy them. 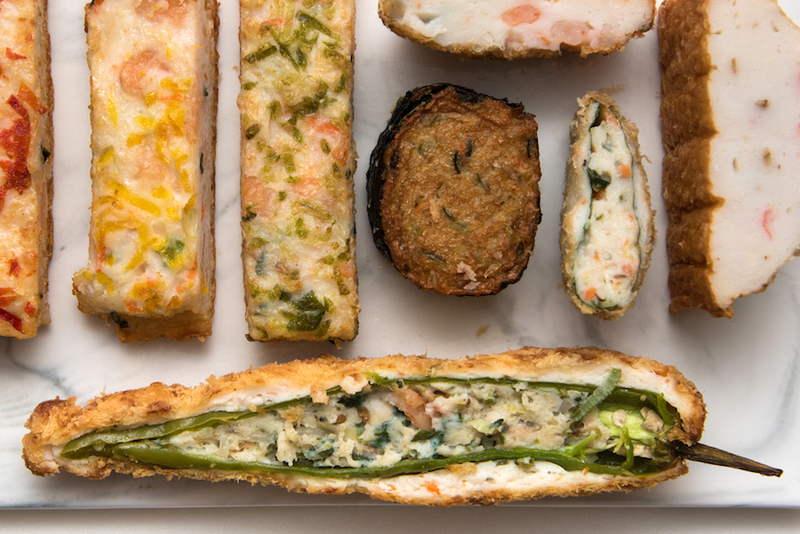 Each piece cost between $1.20 – $5.50 which is inexpensive, and makes a convenient takeaway snack. The bestseller in South Korea. I can understand why this item is so popular, given its appetising looks and tempting fillings. 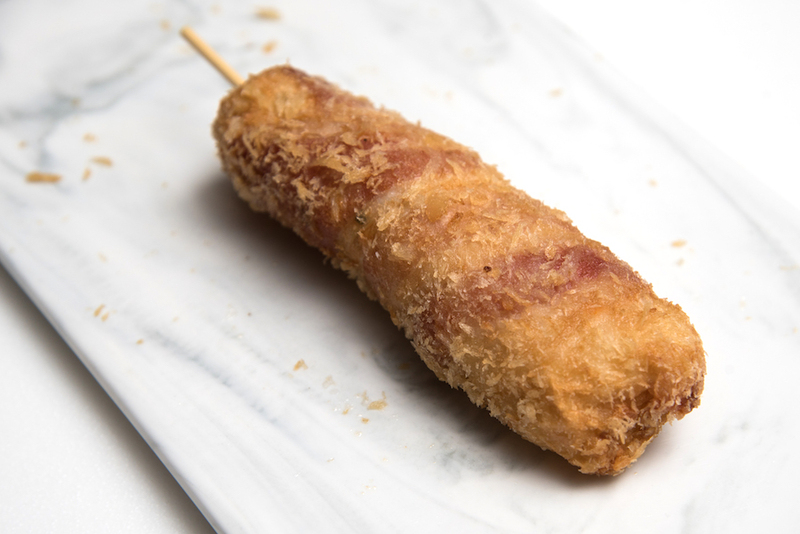 The croquettes were first coated with amook then breadcrumbs before deep-frying to a golden-brown shade – crisp on the outside, juicy on the inside. 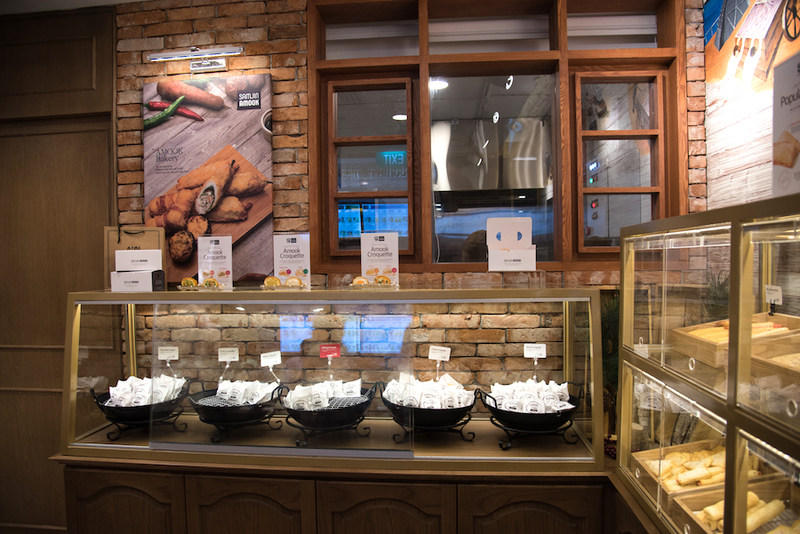 The Croquette came in 6 different flavours, individually packed with a takeaway box for purchase of 6 or more, and they included Curry, Chili Pepper (Spicy), Sweet Potato, Potato, Cheese and Shrimp. Biting into crispy deep-fried bread crumbs exterior revealed a layer of soft amook, encasing all the different ingredients. The Chili Pepper Amook Croquette ($2.30) was my favourite, with bits of minced Chili Pepper fillings that gave the piece an additional bite and slightly spicy kick. 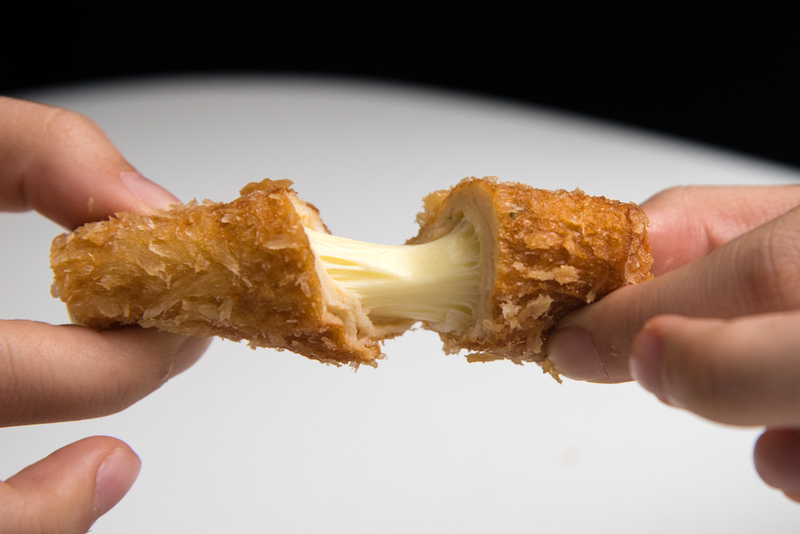 For the cheese lovers, the Cheese Amook Croquette ($2.30) is worth a mention. 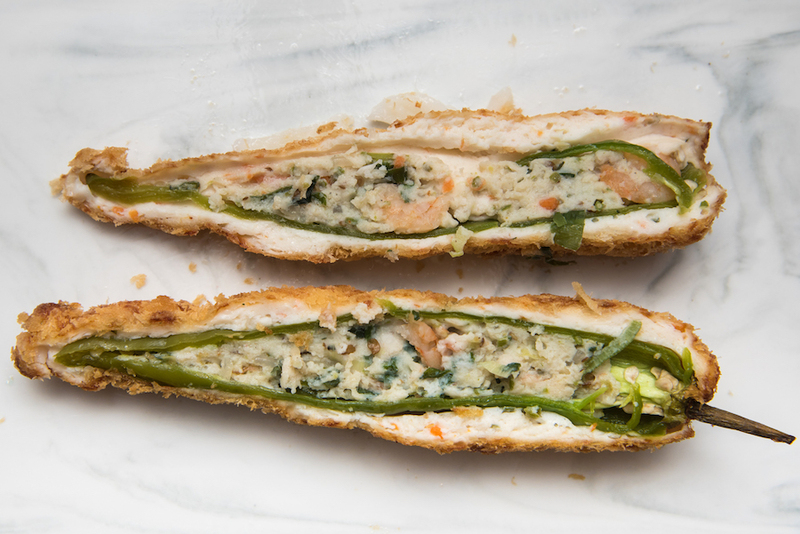 Filled with stringy mozzarella and cheddar cheese that stretched when eaten hot, every bite was as satisfying. Another interesting flavour was the Sweet Potato Amook Croquette ($2.30) which would be sweet in nature. The balance of sweetness from the sweet potato and savoury from the amook was just right. While this looked huge and spicy, it was not as intimidating as it appeared. With amook stuffed both into and around the full length of the Korean Green Chili Pepper, you get a alternating contrast of varied textures. This Chilli Pepper was specially sourced and imported from South Korea, stuffed with ingredients of amook, prawns, mushrooms, carrots and onions. It resembled the green chili from our local version of Yong Tau Foo, except that it was bigger, longer and deep-fried. A manageable level of spiciness. Does Gong Yoo carry a mace wherever he goes? 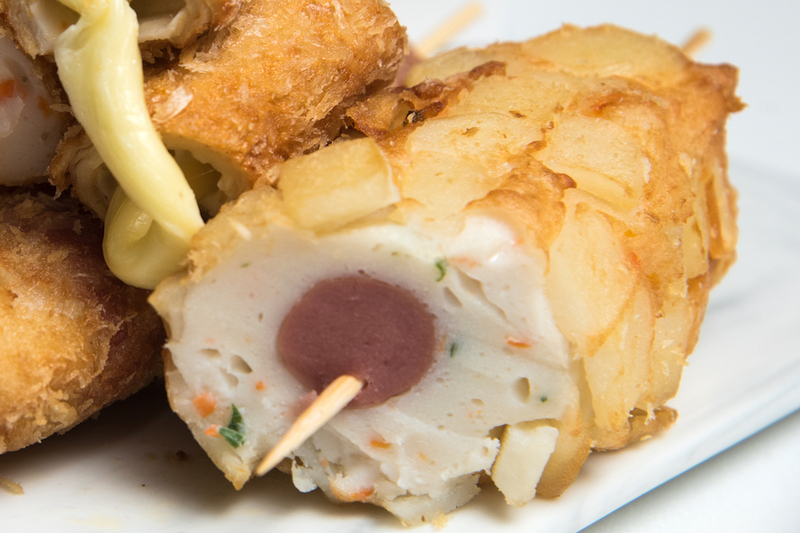 For the potatoes lovers, this huge stick of Goblin’s Mace with a sausage generously coated with deep-fried diced potato was sufficient to destroy any diet plans. Tasted like a hash brown on the outside; amook and sausage on the inside, kids would probably love this combination. The Prawn Roll Hot Dog ($3.50) came with a full prawn including the tail. 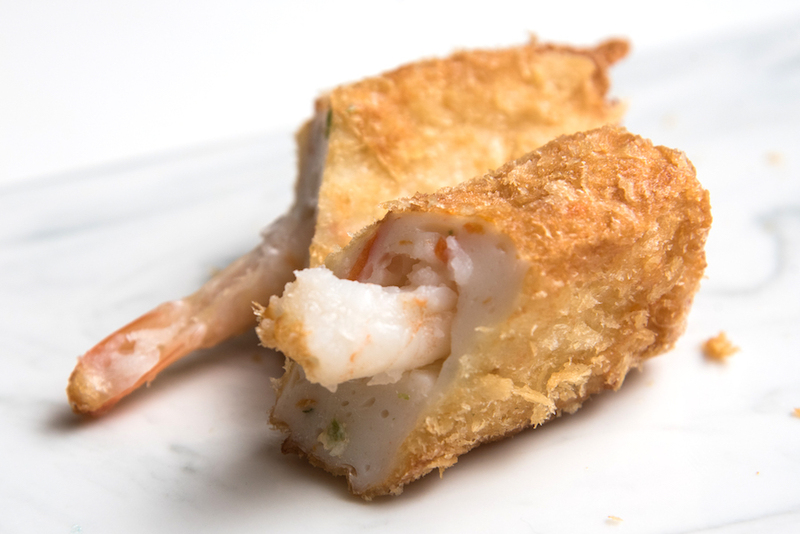 Similar to that of a Japanese prawn tempura, with a golden-brown batter and the juicy prawn, the amook added an additional moist dimension to the combination. The seafood-to-starch ratio was just about right in terms of taste, texture, and flavour. A Korean meal is not complete without tteokbokki (Korean rice cakes). The common ways of eating this long and QQ (aka chewy) rice cakes included steaming, stir-frying or adding into the hotpot. This amook was enfolded around soft and chewy Korean rice cake. Deep-frying it with amook was indeed an interesting and different version of the traditional Korean food. 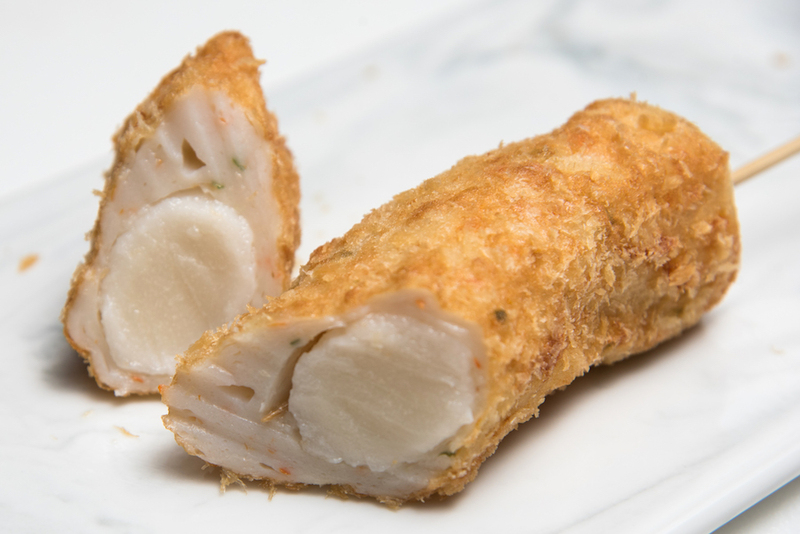 This item is called White Whale, made up of Alaska Pollock – the most expensive item on the menu. It also came in a huge rectangular shape which resembled that of a whale. Stuffed with crabmeat and mushrooms, the White Whale was slightly sweeter and chewy compared to other amook. Commonly found in Korean BBQ, the sesame leaf also known as the perilla leaf, often used as an accompaniment to barbecued meat. The Half Moon Sesame Leaf ($2.80) had an acquired taste, grassy with a hint of liquorice, and a tad spicy kick from the amook, and sweetness from bits of shrimps. 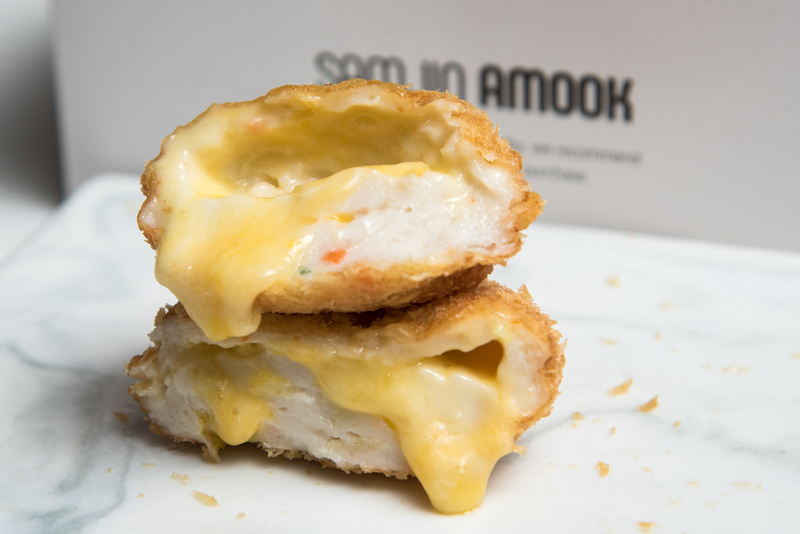 This amook was wrapped around string cheese to create 3 different textures: Crispy deep fried batter, soft amook and chewy cheese to satisfy different cravings. Is this considered surf and turf? 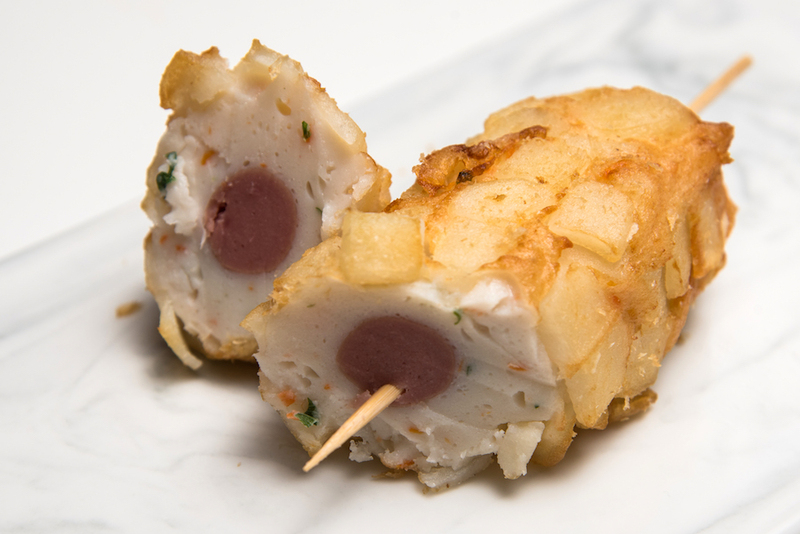 A long strip of bacon surrounded the amook – smoky bacon and savoury fishcake just spelt tempting. Mashisoyo! 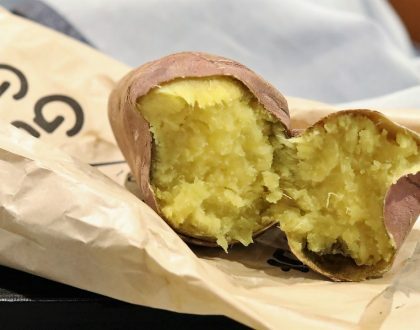 Walk into a Korean food store and you would likely find packets of laver. This is their version of thin, flat seaweed sheet often used to make gimbap. So this might remind you of a Korean gimbap, or a Japanese maki. The Laver Roll ($2) was interestingly wrapped in double layers of sesame leaf and laver. The entire piece would then be deep fried, such as both outer coatings would have this hint of umami-ness. 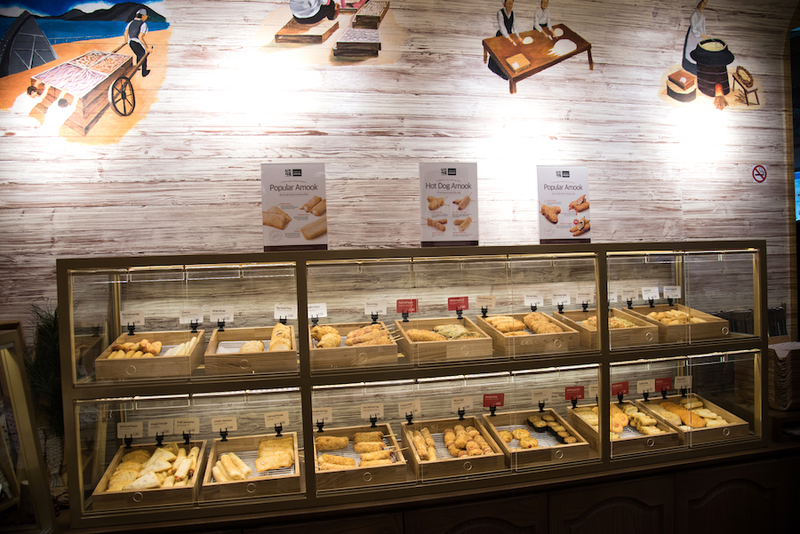 40 different types of Korean fishcakes in a specialised bakery is indeed overwhelming. 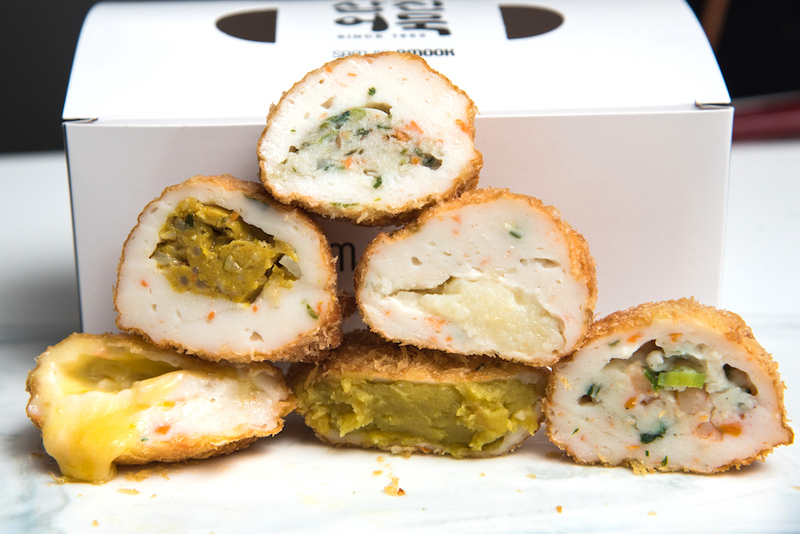 I initially couldn’t imagine how the Korean fishcakes had evolved into such a wide variety. 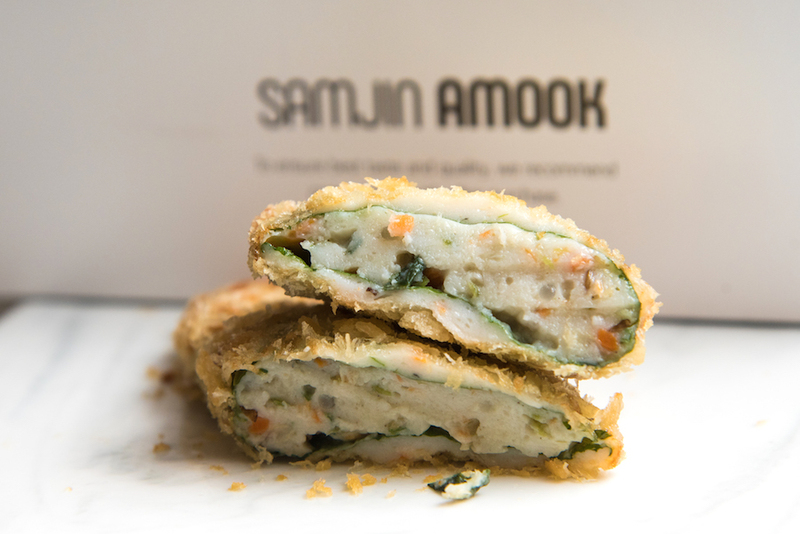 Samjin Amook had managed to withstand the test of time with the ever-changing food trends and continue to impress the future generations. 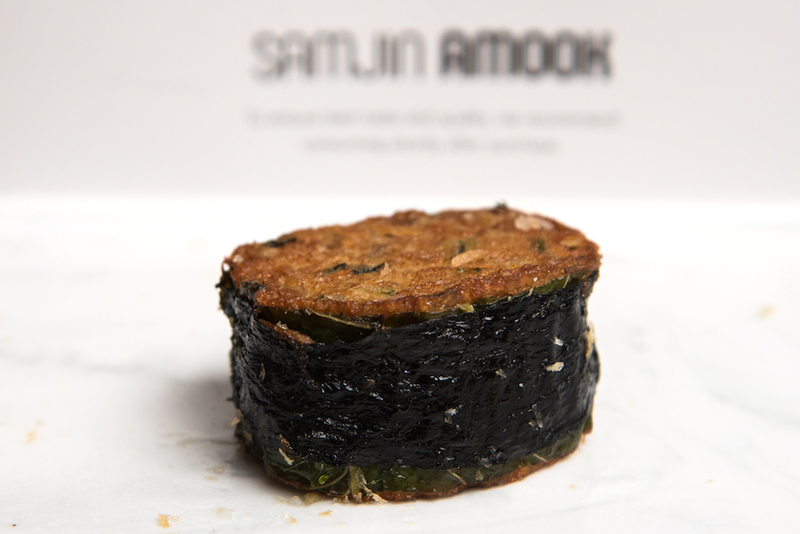 In 2018, Samjin Amook Singapore will also introduce NEW offerings which include Special Abalone Amook ($8.80), Special Shrimp Amook ($4.50), Amook Toast ($3.50), and Amook Bites & Spicy Amook Bites ($2.00). There will also be the Bakkwa Croquette ($2.80) which contains crispy & chewy amook filled with premium bakkwa, exclusive for the Chinese New Year. Good to have a piece of this Korea’s food tradition in Singapore. Tasty and so comforting. Daebak! * Written by Nicholas Tan @stormscape. This post is brought to you in partnership with Samjin Amook.